Ready to sell! 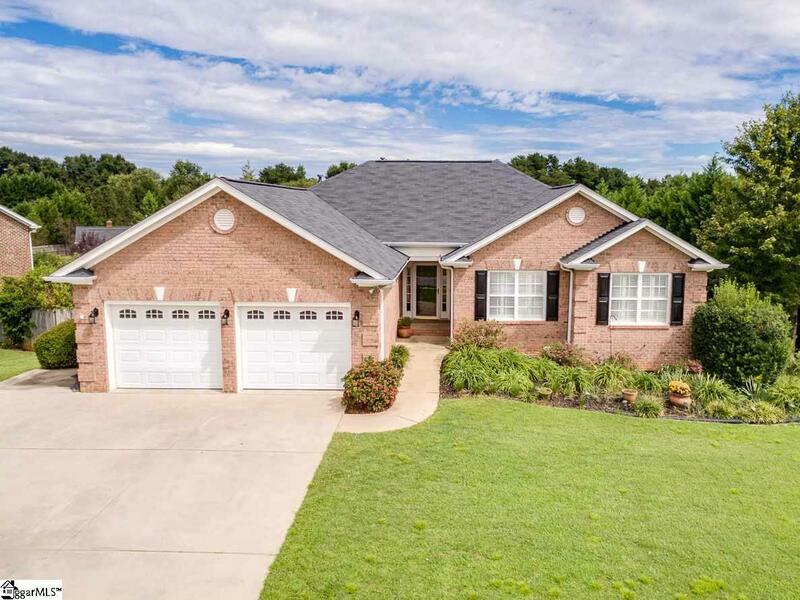 In the Ashley Commons neighborhood in the city of Greer, this gorgeous 3 BR, 2 1/2 BA ALL-BRICK home is priced below appraisal and has so much to offer with about 2100 sq ft upstairs and almost 900 finished, heated sq ft downstairs. Home sold As-Is simply because sellers have drastically reduced the price and do not have the funds to make repairs. Situated on a quiet cul-de-sac street and sidewalk community, the homes main level features hardwood floors throughout, ceramic tile in the kitchen and baths, huge pantry and recessed lighting in the kitchen, formal dining room/office, master on the main and custom plantation shutters on all windows! The eat-in area in the kitchen has a beautiful bay window and leads into the 10 x 10 sunroom with two full walls of windows and light. Entering the house through the garage yard door youll find yourself in the spacious laundry room with utility sink and door leading into the basement. With over 900 sq. ft. of finished space, the basement features brand new waterproof luxury vinyl plank flooring, perfect for entering from the 16 x 32 in-ground swimming pool through the screened porch to the spacious bath/changing room. Several closets and storage with the potential of a fourth bedroom make this space amazing enough, and yet theres even morelarge storage room with garage door and a separate HUGE workshop! Listing provided courtesy of Tami Allen of Exp Realty Llc.